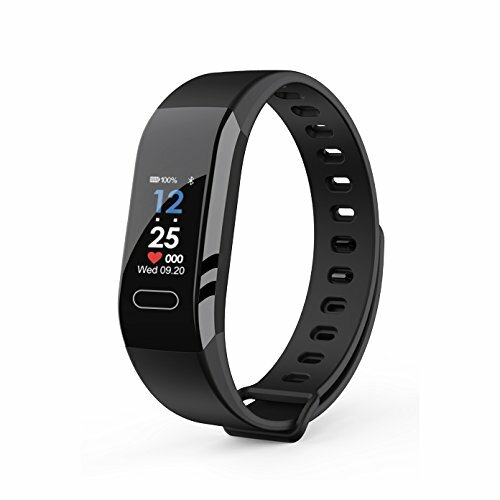 Continuous Heart Rate/ Blood Pressure Monitor and Comprehensive Sleep Analysis This fitness watch guides you to healthy habit in life. 24 real-time continuous heart rate/blood pressure monitor to help you know your health condition. Accurately and effectively sleep quality analysis can help you to better understand your healthy status. More feature you don¡¯t find yet----Damusy fitness tracker supports date & time auto sync, sedentary alert, Remind alarm, incoming call notification. Explore more band features in our App using any iPhone or Android phone. Long-lasting Battery and Life Waterproof: IP67 waterproof allows your washing hands, getting caught in the rain. Full charge requires only about 1-2 hours and the standby time can be up to 5-7 days with full power. The app supports most smart phones with Bluetooth 4.0. Support system: iOS 7.1 or above Android 4.4 or above Huawei Mate 7/P9, LG, Samsung, etc . If for any reason you are not satisfied, please do not hesitate to contact us. If you have any questions about this product by iFiter, contact us by completing and submitting the form below. If you are looking for a specif part number, please include it with your message.